In buying cars you have to be really accurate and well detailed. Important things should be taken and not to be taken for granted. When you bought a brand new car and something goes wrong, go back to the dealer and ask for a repair or a refund or a replacement for the "LEMON" car, but you only received a reply from the company, a "SORRY" or not a single word at all. 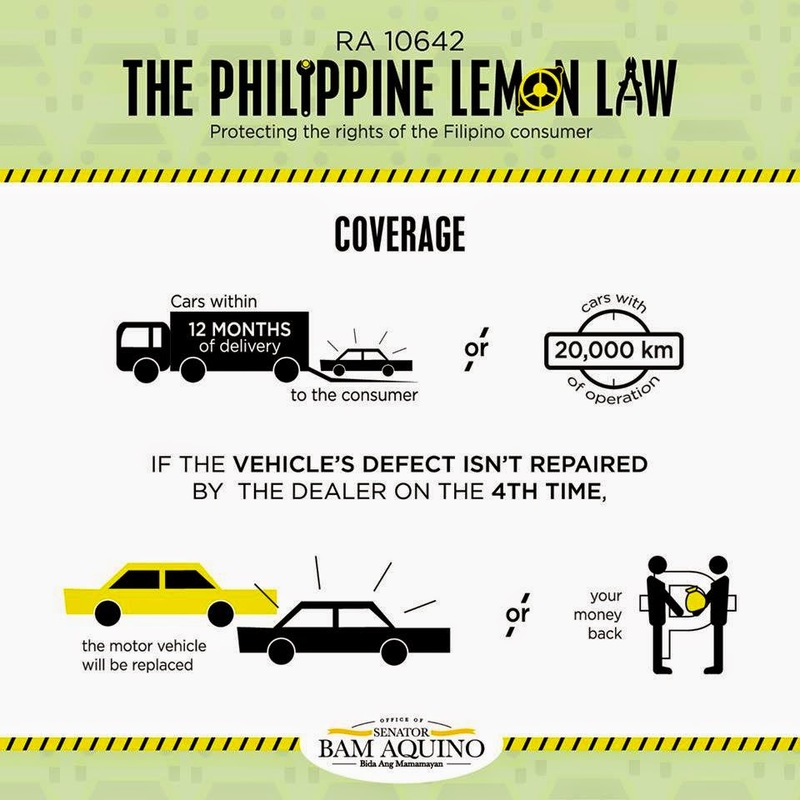 So thankful that this law is now implemented here in the Philippines, The LEMON LAW. What is a LEMON? 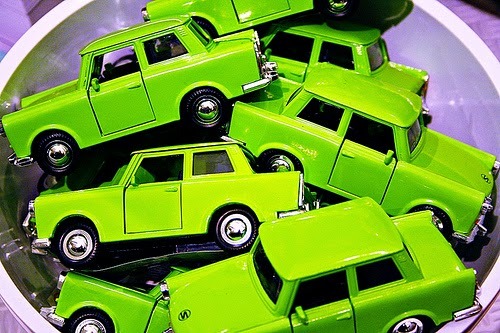 A term use to describe a car that is unsafe, inefficient, had a repeated problems, or defect. In New York, they had this law, that if you buy a brand new or a second hand car the buyer has the right to return the car if they discovered it defected and its not working well. Now, here in the Philippines we have this new law, RA 10642, " An Act Strengthening Consumer Protection in the Purchase of Brand New Motor Vehicles, approved last July 15, 2014 by our President Benigno S. Aquino 111. Sec.4 - COVERAGE: This act shall cover brand new motor vehicles purchased in the Philippines reported by a consumer to be in nonconformity with the vehicle's manufacturer or distributor's standard or specifications within 12 months from the date of original delivery to the consumer, or up to 20,000 kilometers of operation after such delivery, whichever comes first. Sec.5 - REPAIR ATTEMPTS: At any time within the Lemon Law rights period, and after at least 4 separate repair attempts for the same complaint, the consumer may invoke his or her rights under the Act. Repair includes replacement of parts, components, or assemblies. Sec.6 - Before availing the act under Sec 5, the consumer shall, in writing, notify the manufacturer, distributor, authorized retailer or dealer. 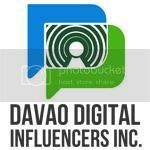 Department of Trade and Industry should implement the Rules and Regulations within 90 days from the effectivity of the ACT. I didn't know such a lemon law exist.